Who remembers the NVIDIA GeForce Partner Program and how it affected Radeon offering in general? MSI was one of the few companies that ignored Radeon RX 500 series. It took time to see cards from these refreshed AMD series. It took another few months to see Radeon RX 590 ARMOR, featuring a refined 12nm process. MSI was clearly not in a rush. However, the company is not stopping here. 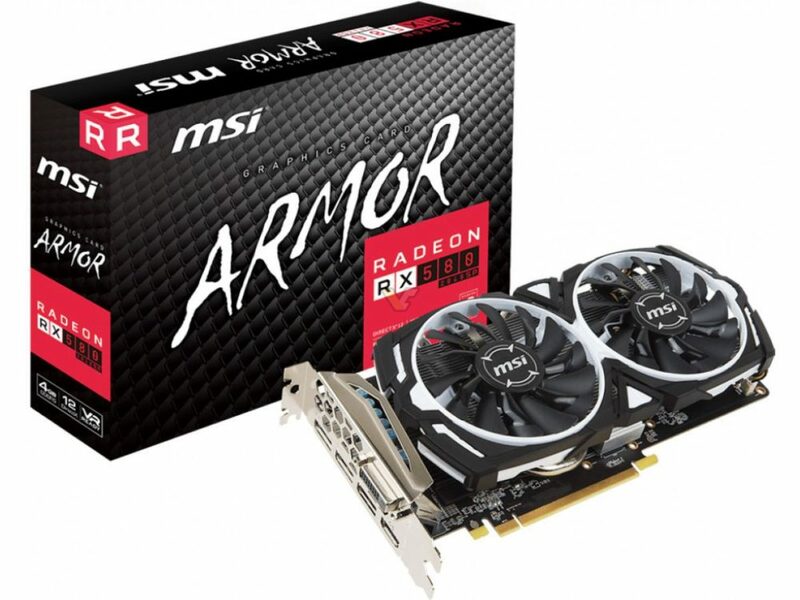 The elusive and unique product called Radeon RX 580 2048SP will soon be added to MSI offer. This SKU is one of the most criticized products in the AMD portfolio. Rather than call it RX 570, the RX 580 name is used. This product is not available in all regions. It could go against some regulations, such as misleading product naming. That said, the RX 580 2048 SP ARMOR from MSI will likely only be available in Asia. There are two variants, the 8GB and 4GB models. The cards are (surprise, surprise) identical to Radeon RX 570 ARMOR. Basically, it is the same card with a new box.